There are two things that determine how fast any home gets sold and for how much and that is how the property is price and marketing. Of the two, setting the right price is pretty important but marketing is probably more so since it will be the way qualified buyers will find your well priced home. 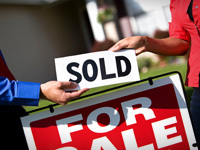 This is why it is so important to choose the right Agent to list your home. We at Media West will list your home with the correct price then proceed to outmarket the local competition to get your home noticed and sold. Let's say you have the choice of two Realtors to choose from. 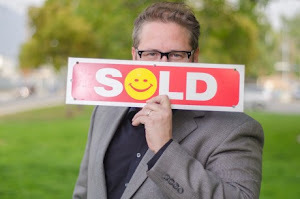 One says he can give you the same basic marketing package other agents are providing these days: Sign in the yard, List the property on the MLS, Hold an Open House, List the home in the weekend newspaper, and possibly a virtual tour with some still pictures and music. Now let's say the second agent comes to you and states that he or she will start with the basic marketing and add to that a professionally made Hollywood Style Movie Trailer of your home - shot in High Definition - with a professionally written script read by a professional voice over talent. But it doesn't end there. The second agent continues by saying that she will house that High Definition movie and house it on its own website with your home address as the website address! How much would that be worth to you? It is common knowledge that online video submissions have higher rankings on search engines such as Google, Yahoo, and Bing. So having a video of your listing will put your listing a head of all the other non-video listings. Knowing this, which Realtor would you choose? Contact us today and find out how we can set a great price for your home and then out market the competition!